Antiquorum Auction Reminder: Auction Date – September 17th. NEW YORK. Join Antiquorum’s Auction Preview at Hours Minutes Seconds for the exceptional watches that will be offered in Antiquorum’s Auction on September 17th in New York. Included in the sale are some outstanding watches produced by Patek Philippe, an extraordinary Seiko wristwatch that was designed for and worn in Space as well as many other superb timepieces from top brands such as Audemars Piguet, Jaeger-LeCoultre and Rolex. On June 27th in Hong-Kong, Antiquorum concluded its 2009 auction with an outstanding total of HKD 45,453,120. From the 479 lots that were offered for sale, the 82% were sold. Over 250 internet bidders from over 40 countries around the world were standing at the Mandarin Oriental Hotel. 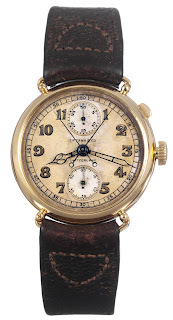 Outstanding prices were achieved for a very rare Patek Philippe 3974, which sold for HKD 3,000,000 (CHF 422,280), followed by the Franck Muller, Caliber 97 which reached HKD 2,820,000 (CHF 396,950). Patek Philippe modern timepieces achieved outstanding results, such as a the Ref. 3970 in platinum, which sold for HKD 960,000 (CHF 135,130). As well as vintage Patek Philippe, the Patek Philippe silver travelling clock which reached HKD 222,000 (CHF 31,250), more than four times its estimate. Ref. 3974 Black Dial. Patek Philippe, Genève, Ref. 3974. Terrence Steven “Steve” McQueen was born on March 24, 1930 in Beech Grove, Indiana (Marion County). Steve was an American movie actor nicknamed “The King of Cool”. McQueen is known as the highest paid movie star of the sixties and seventies. He is also known as one of the best actors in film history and his films are considered classics. Even though he participated in 26 movies, some of his greatest films are The Great Escape, The Sand Pebbles (Academy award nomination), Bullitt (exciting car chase), The Getaway, Papillion or Le Mans. The real Steve McQueen, not the one in the movies, wore a Rolex. 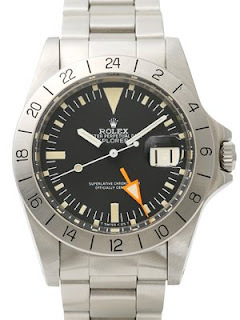 He wore a Rolex known as the “steve McQueen Rolex”, the Rolex Explorer II, model 1955, with an orange 24hour hand. He was an enthusiastic racer of both motorcycles and cars. While he studied acting, he supported himself partly by competing in weekend motorcycle races and bought his first motorcycle with his winnings. He is recognized for performing many of his own aerial tricks, especially the mainstream of the stunt driving during the high-speed chase scene in Bullitt. In addition, McQueen also designed and patented a bucket seat for race cars. He found out he had lung cancer, and with only two months to live he and his wife went to Mexico for treatment. At the Mexican clinic, he underwent an agonizing three-month regimen of animal cell injections and was taking over 100 vitamins a day. Still, his body continued to weaken. He had surgery to remove an abdominal tumor and soon after that it was all over for the celebrated actor. McQueen died on November 7, 1980 at age 50, in Juarez, Mexico. An open Bible lay across his chest and Steve McQueen lay in death with a smile on his face. It is said that his body remains in ashes, as he was cremated and scattered over the Pacific Ocean. Steve McQueen’s TAG Heuer Monaco, his Scott super Squirrel Bike (1929) the historically one he shared with Von Dutch and, last but not least, a Rolex Submariner (Ref 5512) will all be available to buy during next New York Aintiquorum’s Auction. Impotant Collectors’ Wristwatches, Pocket Watches & Clocks Auction. Geneva – Saturday, May 9th and Sunday, May 10th. On May 9th and 10th Antiquorum will auction over 300 fine timepieces at the Grand Hotel Kempinski, in Geneva. Previews were held in Shanghai April 26 and 27, Hong Kong April 29 and 30, and Geneva May 7 – 10. 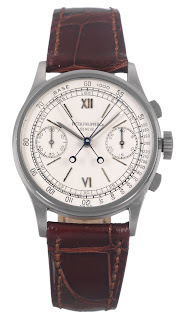 The highlight of the sale is the Patek Philippe Ref. 1436 featuring stainless steel split-seconds chronograph. More than unique, only four examples of this model were produced and only three survived. It is said to be one of the first two watch generation to ever exist. 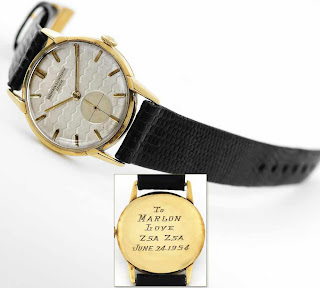 This wristwatch was produced in 1945 and then sold on May 11, 1949. It is the first time ever that this watch will be offered at auction. The pre-sale estimated goes from $ 600,000 to $ 800,000. The action will also offer a Patek Philippe Tiffany split-seconds wristwatch produced in 1928 and sold on September 23, 1938. This 18K yellow gold wristwatch features a single-button split-seconds chronograph, vertical 30-minute register, constant seconds, and mobile lugs. The pre-sale estimated goes from $ 800,000 to $ 1,200,000. 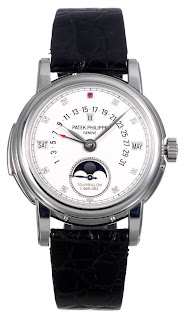 Between many other significant timepieces, another watch included in the auction is another Patek Philippe Ref. 5016 P that features a unique dial. This watch was originally sold on November 13, 2001. This piece in platinum includes a minute-repeater, one-minute tourbillon regulator, retrograde perpetual calendar and moon phases. This piece is estimated goes from $ 600,000 to 800,000.